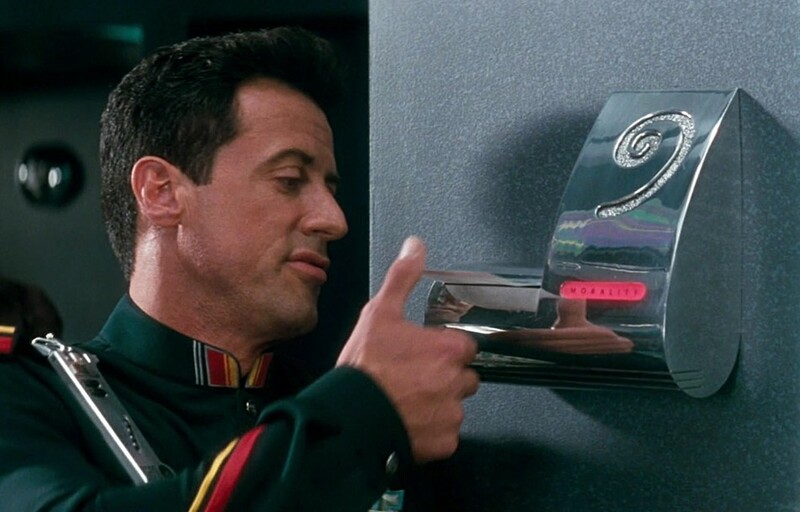 Sylvester Stallone’s Demolition Man Turns 25 Years Old! 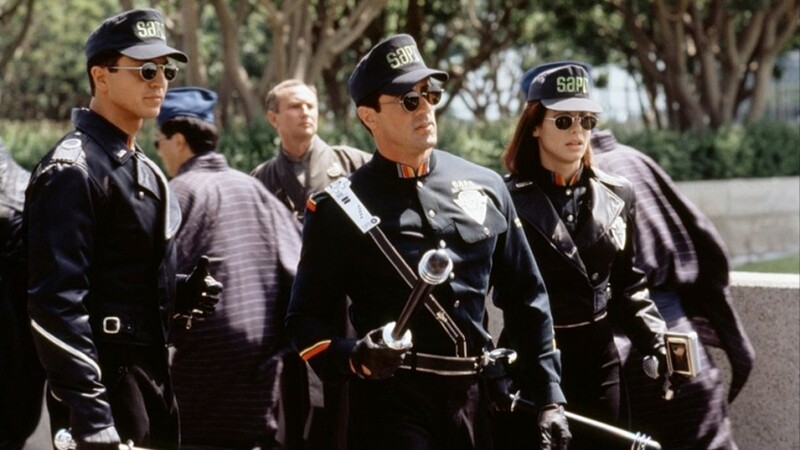 On October 8th, 1993, Sylvester Stallone’s sci-fi action opus Demolition Man landed in US cinemas, bringing fans a very different kind of Sly movie. 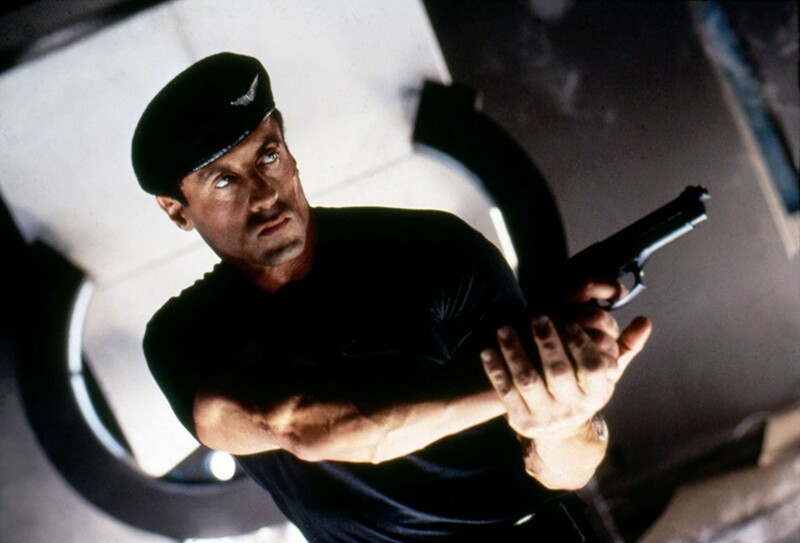 Stallone played John Spartan, a risk-taking police renegade on the tail of Wesley Snipes’ Simon Phoenix, a pathologically evil crime lord with violent mischief on his mind. 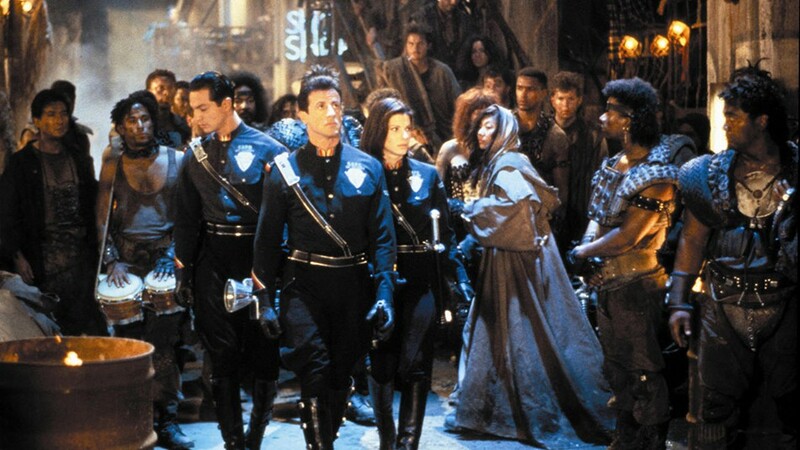 Cryogenically frozen in 1996 after a hostage showdown gone wrong, Spartan wakes in 2032 to a much-changed society. He’s been revived for one reason: to hunt down and apprehend Phoenix, who managed to break out during a parole hearing. 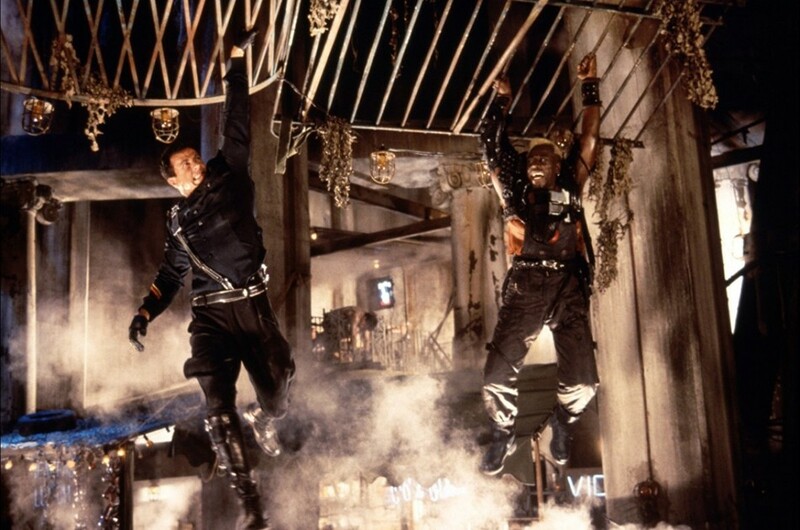 A favourite of Stallone fans thanks to its clever script, eye-catching action and thought-provoking themes, Demolition Man has just turned 25. Here are 10 things you never knew about the Sly-fi classic. Jackie Chan, Jean-Claude Van Damme and Steven Seagal were all approached to play Simon Phoenix. All three declined for the same reason: they didn’t want to play a villain. 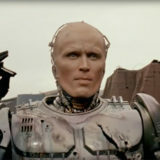 Chan felt playing a villain would have gone against his screen persona, while Van Damme was keen to play John Spartan but not Phoenix. 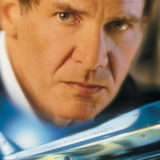 UAMC has also given Phoenix an Honorable Mention in the most ultimate action movie bad guys of all time. Read the full list here! 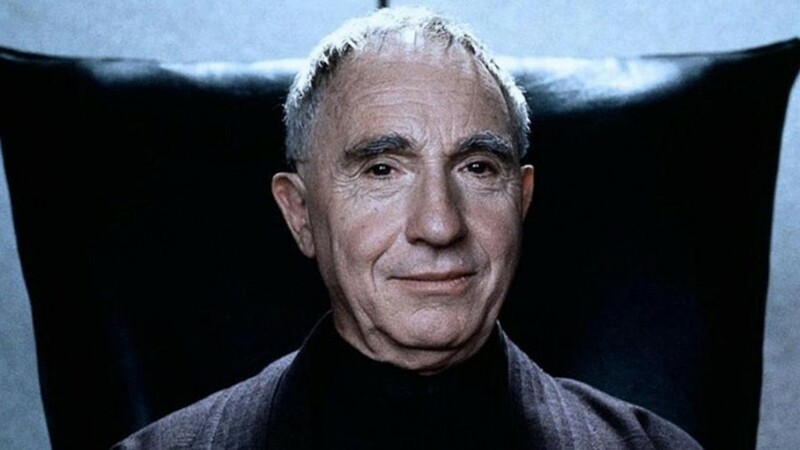 The late Nigel Hawthorne, who played Doctor Raymond Cocteau, didn’t get on with Stallone on set, telling Page Six that Sly was “rude and arrogant” during work on the film. He’s rumoured to have clashed with Snipes too. 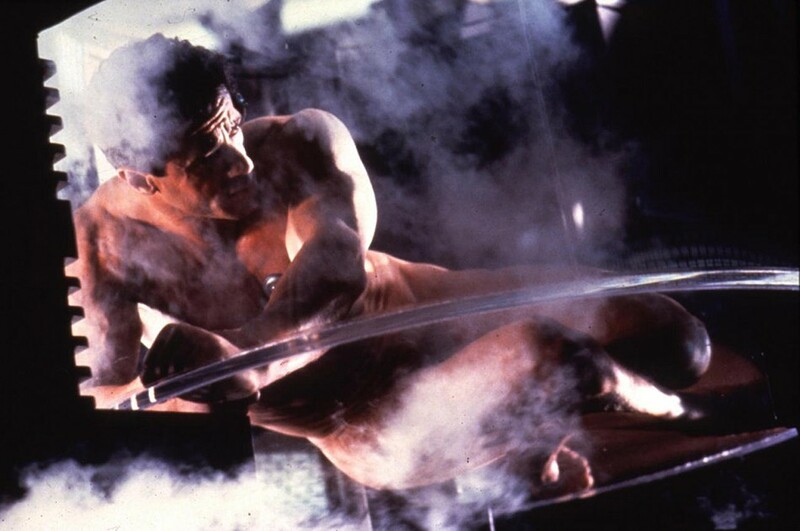 Stallone hated filming Spartan’s initial cryogenic freezing scene, admitting to AMC he “was terrified” and that “was probably the worst five hours I’ve ever had on movie sets.” That might have been down to the claustrophobic set or the fact Spartan appears to nearly drown just prior to be frozen. 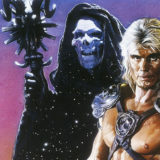 While the US version of the film offers up a vision of a future where Taco Bell is the only remaining restaurant, in some non-American releases Taco Bell is replaced by Pizza Hut. This was mainly in Europe where Taco Bell isn’t that well known. 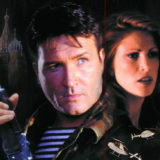 Hungarian sci-fi writer István Nemere claims Demolition Man is based on his 1986 novel Holtak Harca. 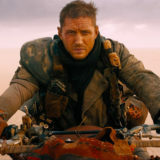 It centres on a terrorist and a counter-terrorism soldier who are cryogenically frozen, then awakening the 22nd century to find violence has been purged from society. He claims to have proof the plot was lifted from his book but has refused to take legal action as he claims he cannot afford to hire lawyers. A 2+ hours cut of the film was originally submitted before that version was heavily edited down. Much of the violence used by Phoenix was toned down, including a scene where he murders Bill Cobbs‘ Zachary Lamb. Some of the fight scenes involving Spartan and the band of criminals Phoenix has released from cryoprison were also cut, which explains why some of them are never seen killed. The most significant omission was a scene in which Phoenix came face to face with his now-adult daughter, who he found living in the sewer. Denis Leary wrote all of his own lines. “I had to write that and pass it through their studio system to get it okayed,” he told In Contention. “It took forever. 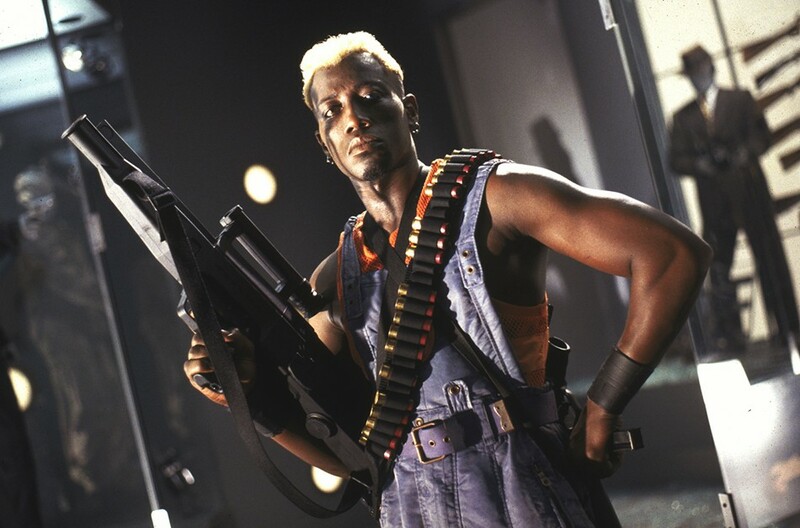 FOREVER.” He claims Snipes went around set on a motorbike along with a big entourage and that filming was delayed for a couple of months after Stallone burst a blood vessel doing a stunt. He’s still not seen the finished film either. No one is entirely sure how the Three Seashells toilet system works however, screenwriter Daniel Waters can explain the origins at least. “There’s a scene where Stallone has to use a restroom,” he explained [via Den of Geek]. “I’m trying to come up with futuristic things you’d find in there. I was having trouble, so I called my buddy, another screenwriter across town, asked him if he had any ideas. Ironically enough that guy was taking a dump when he answered the phone, looked around his bathroom and said ‘I have a bag of seashells on my toilet as a decoration?’ I said ‘Okay, I’ll make something out of that’“. You can also read our UAMC theories on how the 3 seashells work here! 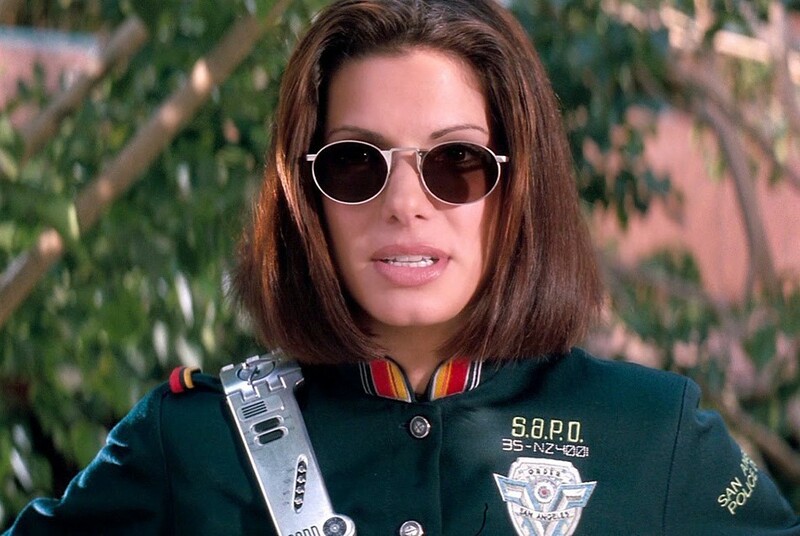 How do you think Demolition Man’s Legacy has aged over the years? Let us know in the comments or on our Facebook page!